THE ONLY WAY OUT – Freedom for Catalonia! I call on to all the people in the world who truly believe and stand up for democracy: please support the right for self-determination from the Catalan people. I know many of you come to our country as tourists and think nothing is going on here, but we are in the borderline of a revolution. Because if we cannot get our independence democratically, we are not willing to stay here to suffer whatever the Spanish government will punish us with. We are like that slave that has been beaten all her life and cannot take it anymore: finally she revolts for freedom. Next 27th September, Catalan people we will vote for our parliament, but we will also vote for independence from the Spanish state, again. Yes, we voted in 2012 democratically, and we obtained majority of pro-independence parties in the parliament, but our politicians did not come to an agreement to declare independence then. And yes, we voted again last year for the same matter in an official referendum, where over 2 million people voted yes, where a majority of Catalan citizens and Catalans all over the world voted that we chose for Catalan self-determination. But our government and parliament, frightened by the Spanish government threats, did not declare independence last year. Hopefully, as an old Catalan saying confirms, the third time is when we win…. well when we make it happen, better said, because we already won elections and referendum in the last 4 years. However, this time we are not voting with normal parties, but important people from our society and politics scope have joined in a common list with the promise that if they get elected our current president will declare independence in 6 months after the elections. Wonder why 6 months? Why? If election results proof that the majority of Catalan people want our country to be an independent state from Spain, why waiting 6 months for declaring it? Actually it will take us at least 2 years from the moment of independence declaration until we are really divorced from the Spanish state, so the sooner we declare it, the better, right? But no, politicians and company owners are so terrified of the consequences that they rather take some more time, maybe so the Spanish corrupted law system obliges our representatives to give up or until the army can summit our cities and institutions by force? I honestly don’t know what makes me feel more indignant of this situation, whether the stupid undemocratic attitude of the Spanish representatives or the ineffectiveness of our own representatives to execute what the majority of Catalan people have already voted democratically several times. And the worst, but must it be mentioned, is the attitude of those who do not support independence: not because they will vote no, which is perfectly licit, but because they have surrendered to the brainwash of Spanish media to the point of believing that voting is actually anti-democratic, or that the Spanish government will ever stop plundering Catalonia. Come on! They live from it! How do you think they pay for their limos and luxury hotels? 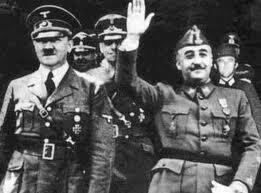 It does not come from the 24% GDP Catalonia provides to the Spanish state (that goes to pay the bills of Madrid and Andalusia), but from the over 15 millions of Euros they steal from Catalan people every year for the last 40 years, counting only since Franco died. If only we could count all the resources and money taken away from Catalonia to satisfy Spanish aristocracy pockets or cover government luxury expenses for the last 300 years! Or if we truly quantify all the peopled killed for defending Catalonia, or killed just for being Catalan, I believe many other countries would found the number horrifying, such genocide suffered here for such a long time, counting loss of lives over the Nazi holocaust. But it is also indignant, and sad, that some people who recently supported independence precisely for economic issues, are telling me they are tired of this process, a process that is lasting barely 4 years and that could have taken 2 or 3. I agree it is unnecessary to make it longer. 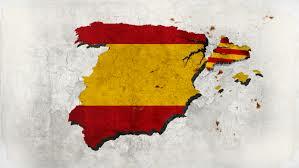 But thinking alike them, what would be the economical benefit of staying in the Spanish state? 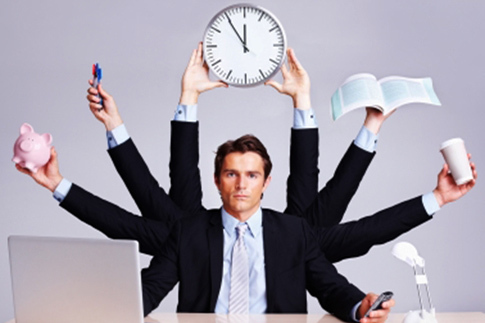 Shouldn’t you be eager to get your salaries higher? Anyhow, so far we are one month ahead of the election day and no party supporting Spain, has made their case for Catalan people to vote for them. What are their promises? To stay as we are? What future will we have if we stay? It is actually more uncertain from an economical perspective to stay in the Spanish state than starting-up alone. Even if we have to vote for a single list now, which does not fit in my good understanding of what could have been such a list, but if this is the only way out, let’s go for it. 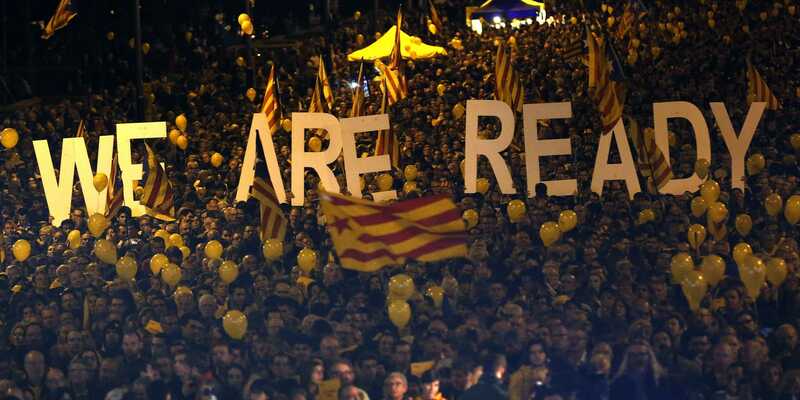 However, if we win again next month and we wait 6 months and the Catalan government does not make a declaration of independence, for whatever the reason, I am positive people’s indignation will indeed grow to dangerous level, taking us closer to a revolution that could generate more economical instability in Europe, something the EU and Mrs Merkel are obviously not interested to promote. 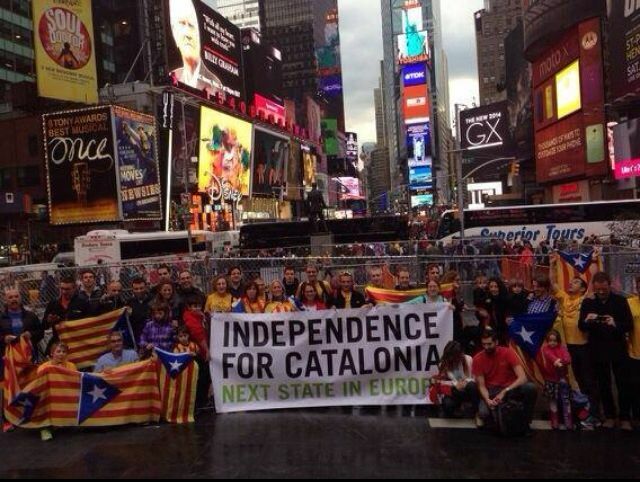 Therefore, in any case, support Catalonia’s right for self-determination! We have given too much and too many lives to defend our culture and our freedom!